Four students, one graduate, and one lecturer from the Vilnius-based European Humanities University who observed the Sunday general elections in Belarus were briefly detained in Minsk on Monday. "Four students, one female graduate, and one lecturer were detained. They were released several hours later with no charges," Darius Udrys, vice-rector from the university, told BNS. In his words, they were all detained in one of Minsk's hotels when they were discussing election monitoring results. University professor Tatyana Chulitskaya was among the detainees. She said in an interview with BNS on Sunday that Belarus hasn't had real elections for 17 years and there are no signs of the existing Belarusian administration planning to make any steps in the democratic direction. EHU Rector Anatoliy Mikhailov deplored the detention. "We deplore the detention of these young people for no apparent reason other than for exercising their civic rights and duties," he said. The university said in a statement that EHU students Maryia Sliaptsova, Ales Herasimenka, Tamara Lutskaya, Alena Zhebryk; EHU alumna Anastasiya Matchanka; and EHU political science lecturer Tatyana Chulitskaya were detained on Monday outside the Jazz Hostel in Minsk where they were discussing the results of Sunday's parliamentary elections. They were taken to a police station where they were searched, their fingerprints were taken. Then, a few hours later, they were released without charges. They all participated in Election Observation: Theory and Practice (EOTP)—a joint project of EHU, Belarus Watch, and Belarusian Human Rights House. EOTP observers monitored elections at more than 60 polling stations in Minsk and at regional centers during early voting and on the election day. They reported that voter turnout reports were falsified and voters were coerced to vote. For example, university students were told they may face problems during exams or may not be given dorm rooms if they fail to vote, stated an observer who requested anonymity. Human rights group Vesna said Belarusian police had detained around 20 young activists who observed the Sunday general elections. Valentin Stefanovich, Vesna' deputy head, told AFP that around 20 activists who acted as observers at polling stations during Sunday's vote had been detained by the OMON riot police. The Organization for Security and Co-operation in Europe led an international observer mission and announced on Monday that the Sunday vote was neither free nor fair. 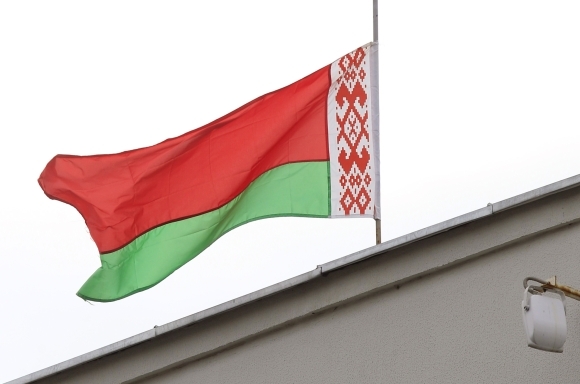 Belarusian officials said 74.2 percent of registered voters cast their vote in the elections. But the opposition says the real turnout was lower by half.